You have never read a book like this before - a book that comes along once in a lifetime to change lives forever. In the rain forests of Peru, an ancient manuscript has been discovered. Within its pages are 9 key insights into life itself - insights each human being is predicted to grasp sequentially; one insight, then another, as we move toward a completely spiritual culture on Earth. Drawing on ancient wisdom, it tells you how to make connections among the events happening in your life right now and lets you see what is going to happen to you in the years to come. 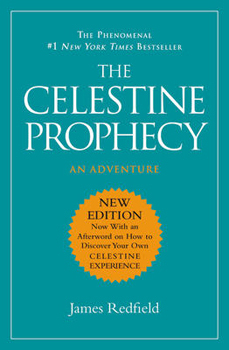 The story it tells is a gripping one of adventure and discovery, but it is also a guidebook that has the power to crystallize your perceptions of why you are where you are in life and to direct your steps with a new energy and optimisim as you head into tomorrow.